Our Snr Resourcing Business Partners, Chris and Dean, have been out and about over the last few months, delivering various projects to ensure our subscribing authorities are getting the best out of the ATS. One aspect of this is ensuring we are on top of the latest resourcing trends and technologies. They attended the In-House Recruitment Expo event in February to hear from guest speakers from a variety of recruiting backgrounds, as well as a multitude of companies offering their goods or services to get up to date on the latest in resourcing. “Chris and I were lucky enough to visit the In-House Recruitment Expo in February. “Many topics were covered in the seminars, from recruitment trends, the use of social media, updates on right to work requirements and social mobility to name a few. “One of the key themes that cropped up in a number of the presentations was around social mobility, inclusion and diversity. A lot of work is now being done to ensure that advertising is gender neutral, that bias is minimised via training and interestingly that some employers now have diversity metrics built into their recruiter KPI’s. “I have the words ‘hiring for potential not experience’ underlined in my notes. This again was mentioned in a number of briefings and is perhaps understandable in the current marketplace where certain skill sets are at a premium. “As you would expect there was a lot of information around technology and changes in the market. Using video within selection processes is now widespread and video job advertising is increasing. Companies such as ‘Video My Job’ offer facilities to create, edit, and share branded video job ads from your mobile. “The imminent arrival in the UK of Google for Jobs and Facebook job ads featured heavily. The growth of hybrid online communities such as “Winter Circle” or “We Love Work” (where like-minded people can share content whilst also being an avenue for recruiters) was a useful insight into how resourcers are finding new ways to contact potential candidates. One speaker also shared their use of Facebook searching as a means to contact passive candidates, which was both ingenious and worrying! “Bots and artificial intelligence were everywhere. It is clear the user experience we are so used to experiencing when online shopping is now moving into the candidate experience. Bots can not only help with engagement but can also help longlist or rate candidates! “The importance of the candidate experience and onboarding were also heavily discussed. The benefits of being authentic in adverts and communications were highlighted so that a candidate had few surprises in culture or expectations on day one. Starting onboarding early (at interview stage) was given as a means to reduce early leavers. It was recommended that a portal to cover all the required paperwork digitally, whilst also providing real insight into “what it’s like to work here” and what objectives and timelines would be, all improved retention and early productivity. It’s clear that Chris and Dean not only came away from the event with expert knowledge on the resourcing trends, but also some key questions to consider when looking at our own recruiting processes. 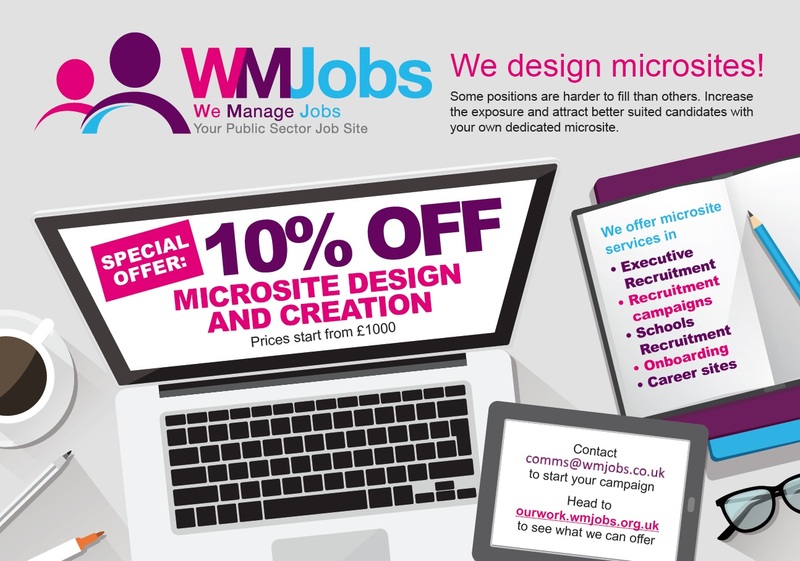 To find out more about what the WMJobs team have been up to, click here.